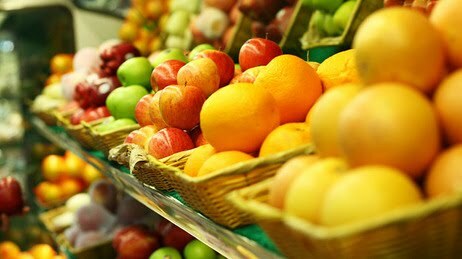 A huge nine-year study of diet and cancer, involving nearly a half-million Europeans in 10 countries, finds only a very weak association between intake of fruits and vegetables and cancer incidence. The study is in the current issue of the Journal of the National Cancer Institute. Those who get an extra two servings of fruits and veggies a day lower their cancer risk by only four percent. A decade or so ago, leading experts thought the five-a-day regimen would reduce overall cancer risk by as much as 50 to 70 percent. In the 1990s scientists were so sure the approach would prevent cancer the World Health Organization and the National Cancer Institute launched the five-a-day bandwagon. The U.S. government partnered with the food industry to mount a major campaign, called 5-A-Day for Better Health, to prevent cancer. It's still in the cancer-prevention goals of Healthy People 2010, though the message is blurred by wrapping it with smoking cessation. "It is estimated that as much as 50 percent or more of cancer can be prevented through smoking cessation and improved dietary habits, such as reducing fat consumption and increasing fruit and vegetable consumption," say the government's Healthy People 2010 goals. What happened? For one thing, earlier researchers were misled by a bias built into the surveys of what people eat. Dr. Walter Willett, chairman of nutrition at the Harvard School of Public Health, points out that the number of people willing to participate in those surveys has fallen sharply over the past 50 years. "Those who agree to be interviewed...are likely to overrepresent health-conscious persons who smoke less, exercise more, and eat more fruits and vegetables," Willett says in an editorial in JNCI. Even so, cancer patients' participation rates in these surveys has remained high, probably because they're in the medical system, are recruited because they're being treated or have been treated for cancer, and are perhaps more motivated to participate in studies. With respect to diet, they're likely to be representative of the population at large. But in the general population, the studies tend to draw more health-conscious people who eat better. So, researchers end up comparing healthy people who happen to eat more fruits and veggies to cancer patients more likely to eat like a truly representative population. That makes it look like eating fruit and veggies is associated with noncancerous healthiness. The new study avoids this problem by drawing on data from the European Prospective Investigation into Cancer and Nutrition. This study is prospective -- it identifies participants and follows them over time -- so it doesn't have some of the biases of studies that identify subjects after the fact and ask them to recall what they ate. Willett thinks future research should focus on whether specific fruits and vegetables and their constituents -- lycopene in tomatoes to reduce the risk of prostate cancer, for instance. And more research is needed to follow up on evidence that antioxidants in some food may be especially protective in the diets of children and young adults. But meanwhile, there's a pretty strong reason for everybody to continue eating lots of fruits and vegetables. It's called cardiovascular disease. A 2004 study in the JNCI found that eating five servings of fruits and vegetables a day is associated with a 28 percent lower risk of heart disease and stroke, compared to people who eat fewer than 1.5 servings a day. Incidentally, that study also failed to find an association between eating fruits and vegetables with either cancer incidence or cancer deaths.